My passion is to ensure we are providing an inclusive environment for all our children to learn in and that we give each and every child the best possible education. What do KFP mean by Special Educational Needs and Disability (SEND)? Children with SEND applies to children who have difficulties or disabilities that make it significantly harder for them to learn or access education than most other children of their age. Some children may require additional support or intervention to help meet their needs or improve their learning. The decision regarding when to give extra support is made by the school with parents' and carers full involvement. If your child has been identified as having additional needs, the school will act in accordance with the Local Authority guidance. How does KFP support your child with SEND? Children with SEND receive support in various ways. It is important to us that each child is able to receive their full potential. Your child's class teacher will ensure that the curriculum is tailored to meet your child's needs. It may be that they receive interventions or sessions with specific targets to ensure that they make more progress. If your child has an EHCP then support will be targeted in order to meet their needs in accordance with their plan. Targeted support and interventions will be in place to ensure we can meet their need. At Kestrels' we help and support children through numerous interventions. How do KFP assess and review provision for children with SEND? To support your child in achieving their full potential, We have Child centred Passports to enable us to track your child's progress. We can then evaluate the effectiveness of interventions carried out and then plan for their next steps. Passports are completed with the class teacher where you will receive 3 discrete passport meetings aside from Parents meetings. One will take part in the Autumn Term, One will take part in the Spring Term and finally one will take part in the Summer Term in preparation for the transition to the new year group. Review meetings for children with EHCP's happen yearly and plans are made to support your child's learning within the school. Specific targets are discussed and adapted to meet their needs. 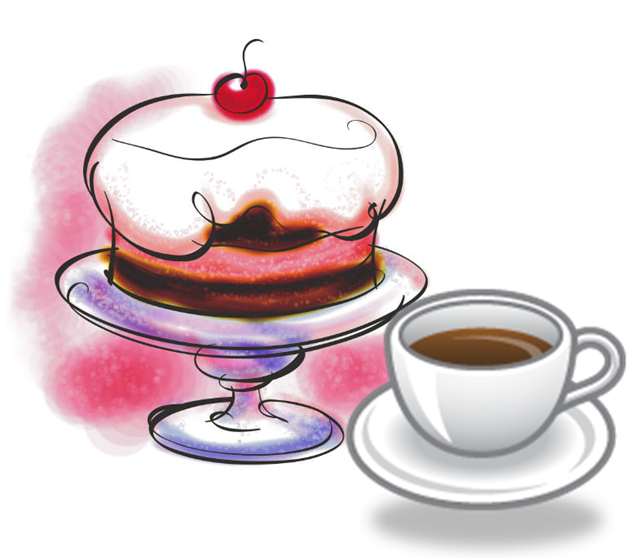 At Kestrels' Field we offer Coffee Mornings for our parents with Children with SEND. The coffee mornings are a great way to network with new parents and talk through your worries and your concerns. Last month we looked at what was good about SEND at Kestrels' and what needs to improve. We also looked at our challenges we face having children with SEND and what we would like to learn in future coffee mornings. A Happy New Year to you all! This month's coffee morning looked at SEND as a whole. We first looked at celebrities whom have a disability and then we looked at what SEND actually meant. We thought about why our children were special to us! Take a look at our reasons and thoughts. What an informative session! 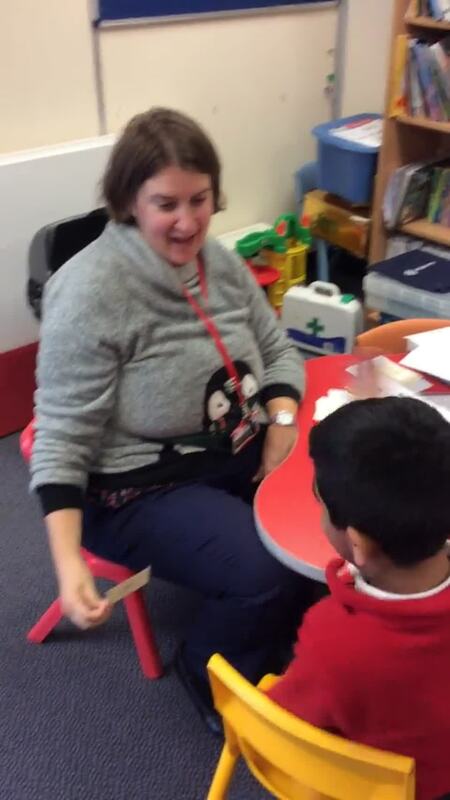 In the coffee afternoon we learnt more about what SEND actually means and learnt more about Autism. We have now planned activities for all children to participate in to support and raise awareness of ASD. 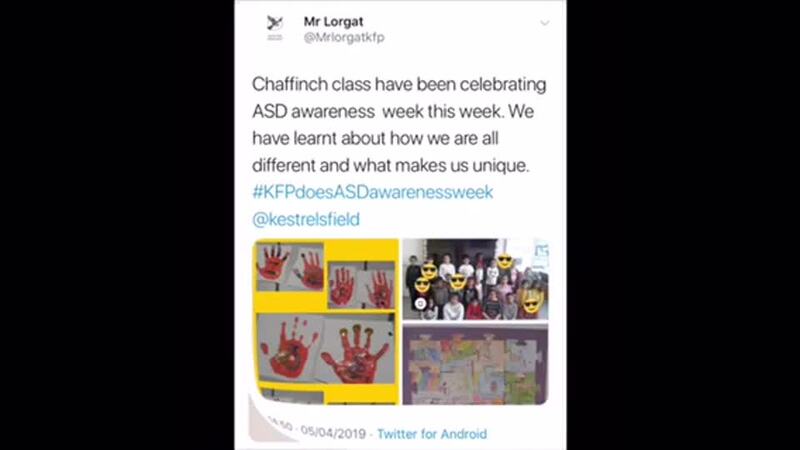 Children will be creating an ASD awareness mural, learning Makaton, creating jigsaw pieces, partaking in an assembly, wearing odd socks and much more. We can’t wait to see the twitter page full of the weeks activities.